For over two years now I’ve been working on a historical fiction – tentatively titled ‘On Demon’s Shores’ (It’s a play on words for ‘Van Diemen’s Land’). A couple of months ago I opened it up again, after putting it aside for 3-4 months, and began to read through the drivel… and there was plenty! I took out approximately 1/3 of the scenes, leaving just over 40,000 words at the end of May. That’s when I started rewriting. I have a wedding to go to next weekend, out of town, and so I set that as my due date. I want this novel to be at least 80,000 words, and so that was my word goal. Homeschooling 2 children means no time for writing during the day, so I did it at night. For the last 3 weeks I’ve been up late getting these words down. I tried not to stay up past midnight (it’s not really conducive with an 11 month old who wakes during the night, or those aforementioned homeschooled children), but there were the odd couple of nights I crawled into bed at 1am or just after. 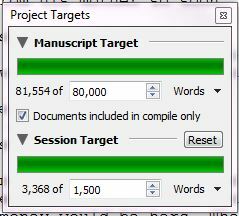 I’ve made it to 80k, just ahead of schedule, though I still there are several scenes to write to complete the story, so I’m not quite done. Yes, I’m reviewing another of Danielle Wood’s books. 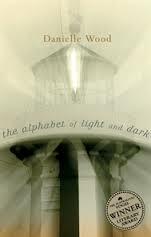 🙂 I recently finished reading ‘The Alphabet of Light and Dark’, and I thoroughly enjoyed it. This book won the Australian/Vogel Literary Award in 2002 and it’s easy to see why. Reading Wood’s work you get the feeling that the sentences flow from the tip of her pen perfect and fully formed. The act of writing feels so easy as you are absorbed effortlessly into the tale. This particular story really resonated with me at the moment, as the main character, Essie, is spending her days searching the past, trying to piece together the stories her grandfather told her so often, stories she has mostly forgotten, but of which she is reminded by the sea chest full of the trinkets to which the stories belong. While I am not trying to recover half-remembered stories, I have been delving to the past as I research my latest WIP. Set in Tasmania, then called Van Diemen’s Land, in the 1830’s, my story features an indigenous character (with more on the periphery). But knowledge of the Tasmanian people is thin on the ground, as the focus was on removing them, rather than recording their culture, and so all we have is a smattering of history. In determining the narrative I am left to the same devices Essie is, opening herself up to let the ghosts of the past speak through her, hoping that the story that emerges is an accurate portrayal, if not of how life was, at least of how it might have been.